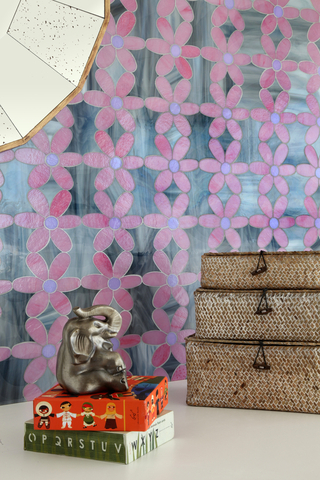 (Exmore, Virginia)….. Pantone has announced their 2014 color of the year, and the magical hue called Radiant Orchid can be found in several of the mosaics that Erin Adams has designed for New Ravenna. 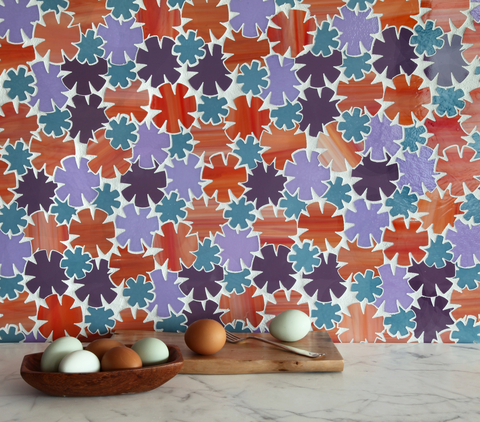 The Erin Adams Collection has three designs which include this vibrant shade of purple: Daisies, Kente and Flowers. 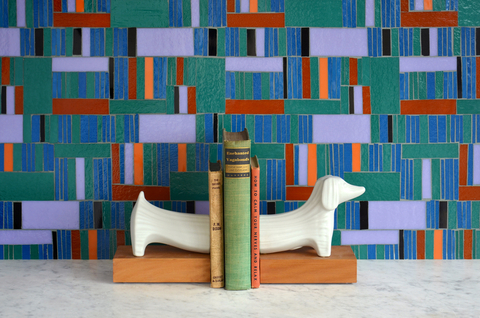 In each jewel glass mosaic Adams has used deeper colors as contrast to the vivid hue.